Dr Evangelos Ntotsios is Research Fellow within Engineering and Physical Sciences at the University of Southampton. 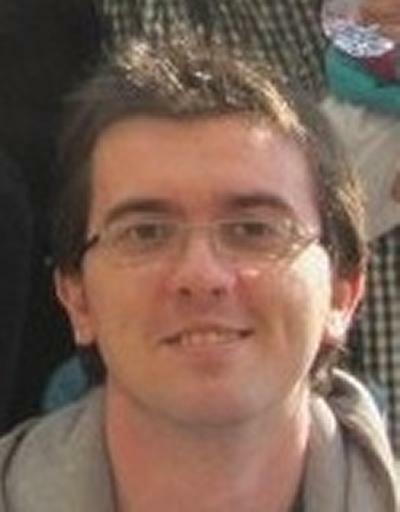 Dr Evangelos Ntotsios is currently appointed as a Research Fellow in the Dynamics Group within ISVR at the University of Southampton, working in the project MOTIV (Modelling Of Train Induced Vibrations). Prior to joining the University of Southampton, Evangelos undertook eighteen months of post-doctoral research at the Scholl of Civil and Building Engineering at Loughborough University. Evangelos received his Ph.D. in Mechanical Engineering from University of Thessaly (Greece) in 2010 where the main focus of his work has been on system identification methods using vibration measurements. Dynamics and Vibrations of Structural & Mechanical Systems. Theoretical modelling of rolling vibrations and ground-borne vibration from trains. Model Validation & Verification, Bayesian Inference for Uncertainty Quantification and Propagation. System Identification, Inverse Problems in Mechanics, Structural Health Monitoring, Optimal Sensor Location Methods. Probabilistic Structural Dynamics, Structural Reliability, Computational Dynamics/Mechanics. Multi-Objective Optimization, Genetic Algorithms and Evolutionary Strategies for Structural Performance Optimization. Methods for identifying models of complex structures using information from measured vibrations. MOTIV is a project funded by EPSRC and it aims to develop a better understanding about key issues regarding the generation and propagation of railway vibration, namely the non-linear behaviour of tracks’ elements and the dynamic soil-tunnel-pile interaction for a single as well as a twin tunnels. This will lead to improved models for the prediction of ground-borne vibration and noise from railways in order to reduce prediction uncertainty. Ntotsios, E., Thompson, D., & Hussein, M. F. M. (2017). The effect of track unevenness correlation on railway induced ground vibration. In M. Papadrakakis, & M. Fragiadakis (Eds. ), COMPDYN 2017: Computational Methods in Structural Dynamics and Earthquake Engineering (Vol. 1, pp. 1950-1971). Greece: Institute of Structural Analysis and Antiseismic Research. Koroma, S. G., Thompson, D. J., Hussein, M. F. M., & Ntotsios, E. (2015). A mixed space-time and wavenumber domain model for predicting ground vibration from railway tracks. 96-106. Paper presented at COMPDYN 2015: Computational Methods in Structural Dynamics and Earthquake Engineering, Greece. Ntotsios, E., Thompson, D. J., & Hussein, M. F. M. (2015). Effect of rail unevenness correlation on the prediction of ground-borne vibration from railways. Paper presented at 10th European Congress and Exposition on Noise Control Engineering (EURONOISE), Netherlands. Jin, Q., Thompson, D., Toward, M., Ntotsios, E., & Hussein, M. (2015). Experimental validation of a numerical model for the ground vibration from trains in tunnels. Paper presented at 10th European Congress and Exposition on Noise Control Engineering (EURONOISE), Netherlands. Ntotsios, E., Koroma, S., Hamad, W., Thompson, D. J., Hunt, H., Talbot, J., & Hussein, M. F. M. (2015). Modelling of train-induced vibration. Paper presented at IMechE: The Stephenson Conference – Research for Railways, United Kingdom. Hamad, W., Ntotsios, E., Hunt, H., Hussein, M. F. M., Thompson, D. J., & Talbot, J. (2015). Modelling the dynamic pile-soil-pile interaction in a multi-layered half-space. Paper presented at 10th European Congress and Exposition on Noise Control Engineering (EURONOISE), Netherlands. Ntotsios, E., Hamad, W., Thompson, D. J., Hussein, M. F. M., Hunt, H., & Talbot, J. (2015). Predictions of the dynamic response of piled foundations in a multi-layered half-space due to inertial and railway induced loadings. Paper presented at 5th International Conference on Computational Methods in Structural Dynamics and Earthquake Engineering (COMPDYN), Greece. Ntotsios, E., Hussein, M. F. M., & Thompson, D. J. (2014). A comparison between two approaches for calculating power spectral densities of ground-borne vibration from railway trains. Paper presented at Eurodyn 2014, Portugal. Kostovasilis, D., Ntotsios, E., Hussein, M. F. M., Thompson, D. J., & Squicciarini, G. (2014). A holistic approach for the design and assessment of railway tracks. Paper presented at IX International Conference on Structural Dynamics (EURODYN 2014), Portugal. Koroma, S., Hussein, M., Thompson, D., & Ntotsios, E. (2014). The effect of non-linearity of railway tracks on ground-borne vibration. Paper presented at ICSV21: 21st International Congress on Sound and Vibration, China. Ntotsios, E., & Palmeri, A. (2012). An improved computational strategy for vibration-proof structures equipped with nano-enhanced viscoelastic devices. Paper presented at 15WCEE: 15th World Conference on Earthquake Engineering, Portugal. Papadimitriou, C., & Ntotsios, E. (2009). Structural model updating using vibration measurements. Paper presented at ECCOMAS Thematic Conference on Computational Methods in Structural Dynamics and Earthquake Engineering, Rhodes, Greece.